The Dreamcast Junkyard: The World's Smallest Dreamcast? This is in no way official, but it's pretty awesome. I wonder if Sega Europe will order the seller to cease and desist...surely not! There is a cheaper option I can use..it's about £8 max.. If you use code blocks10 at checkout it will also give you 10% off total order..
Let me know if you wanna go ahead and I can create you a discount code to make shipping less.. The console is on a 2x2 to give you an idea of scaling..
IO SATVRNALIA, er... I mean Dreamcastalia? 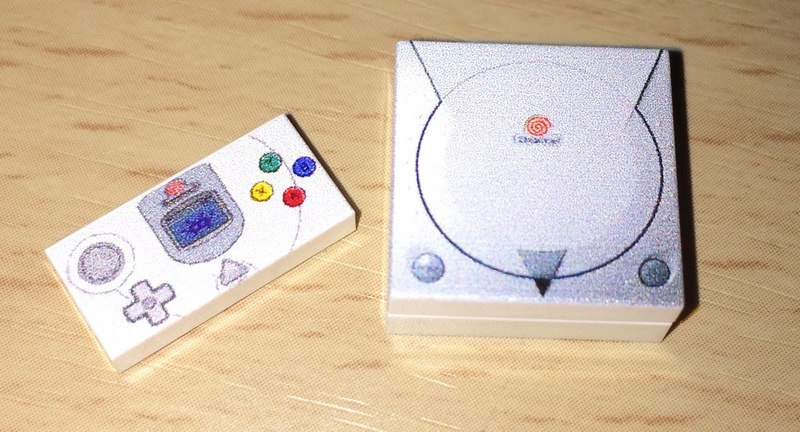 A Rare Shenmue Prototype Appears!